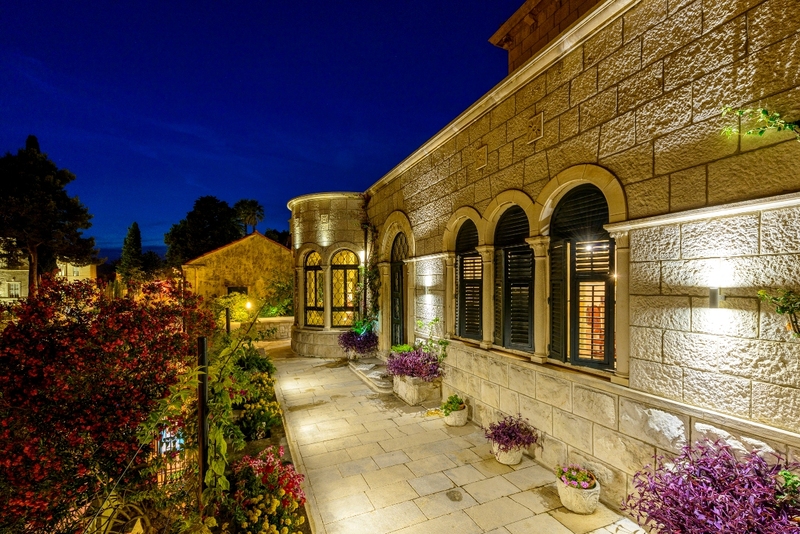 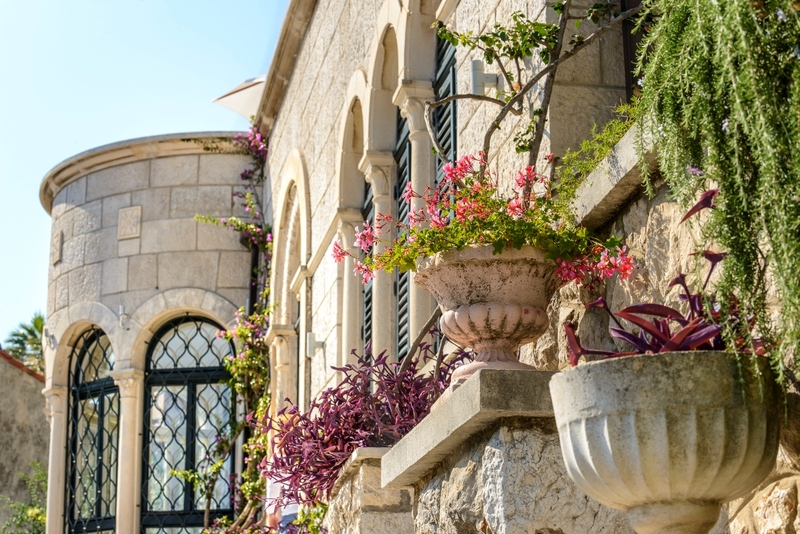 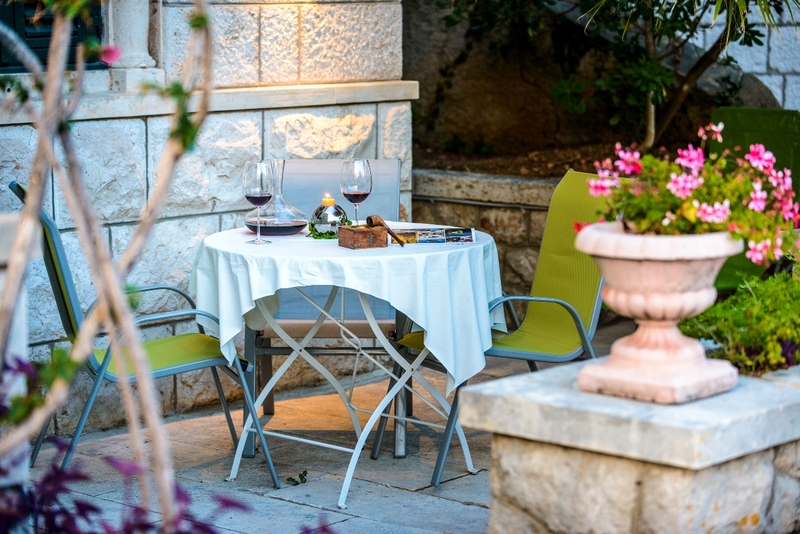 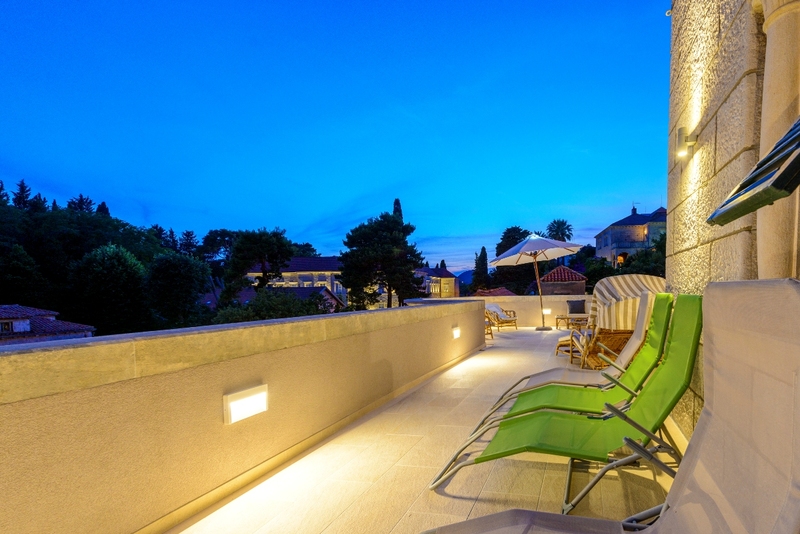 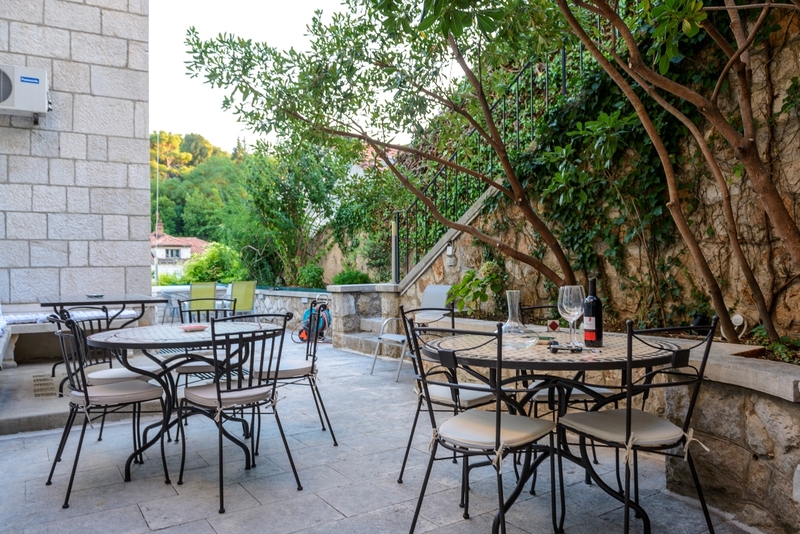 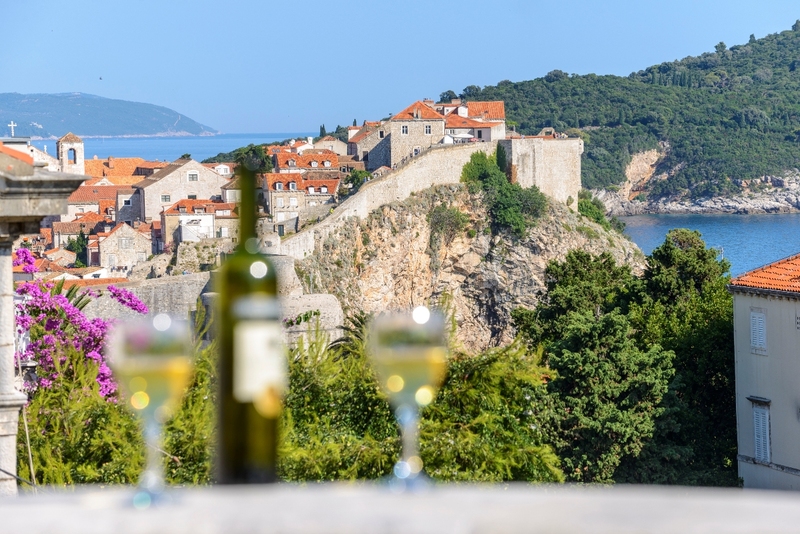 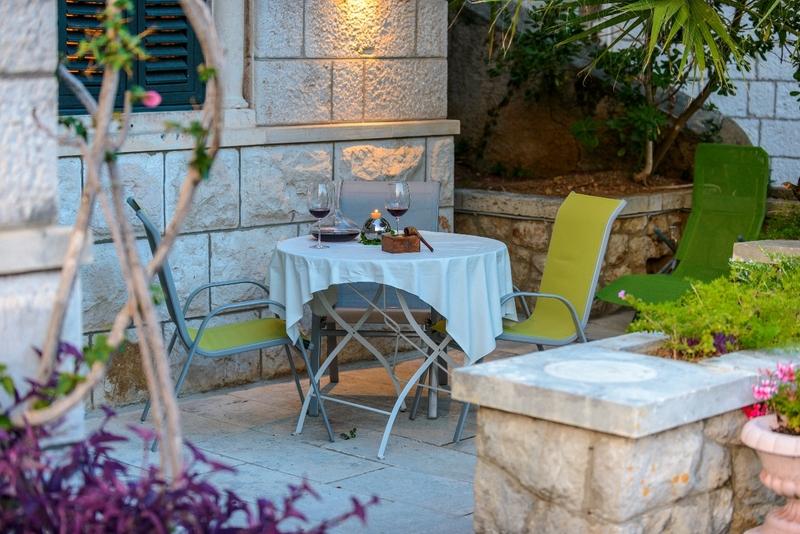 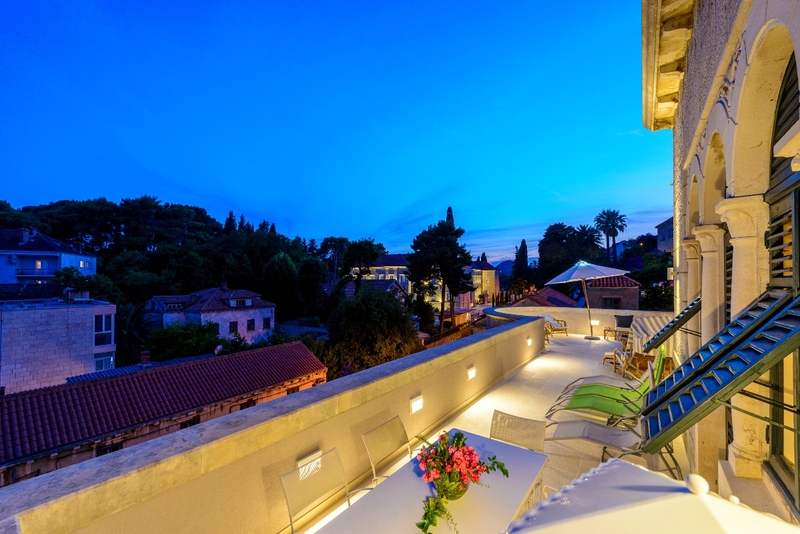 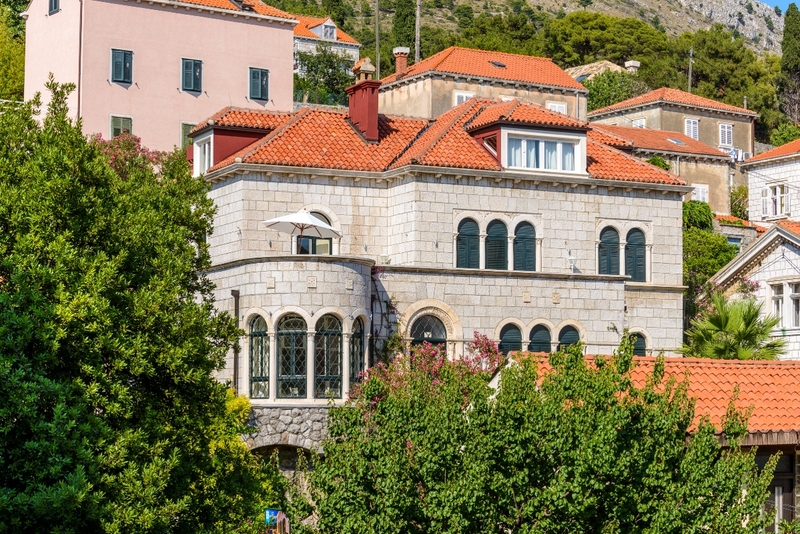 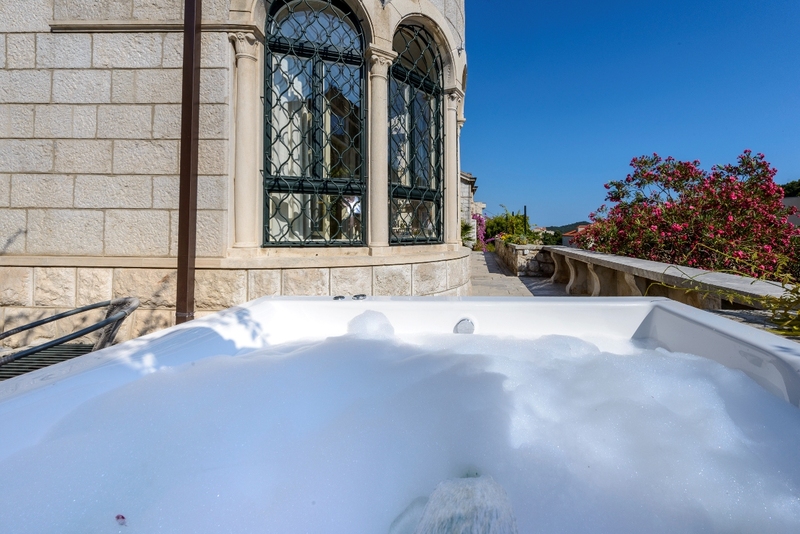 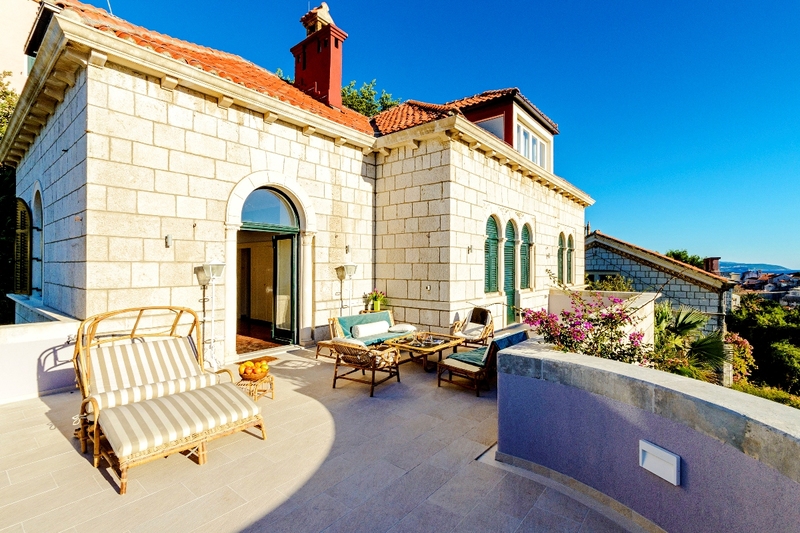 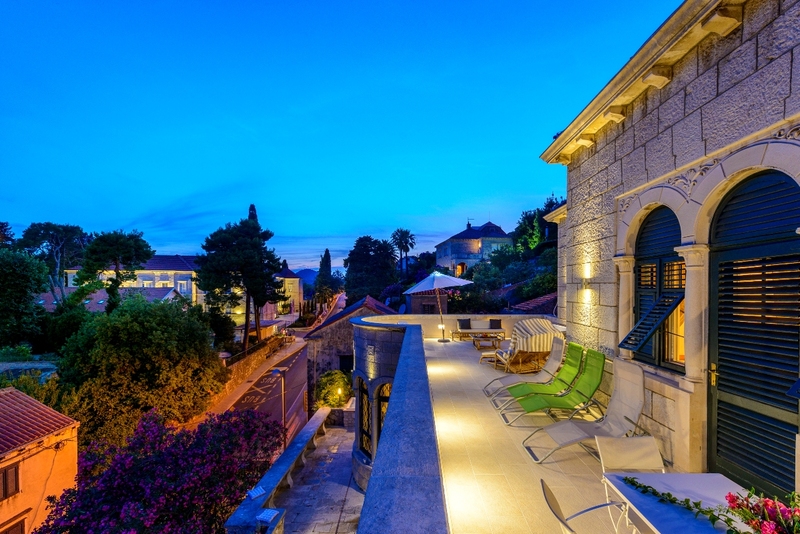 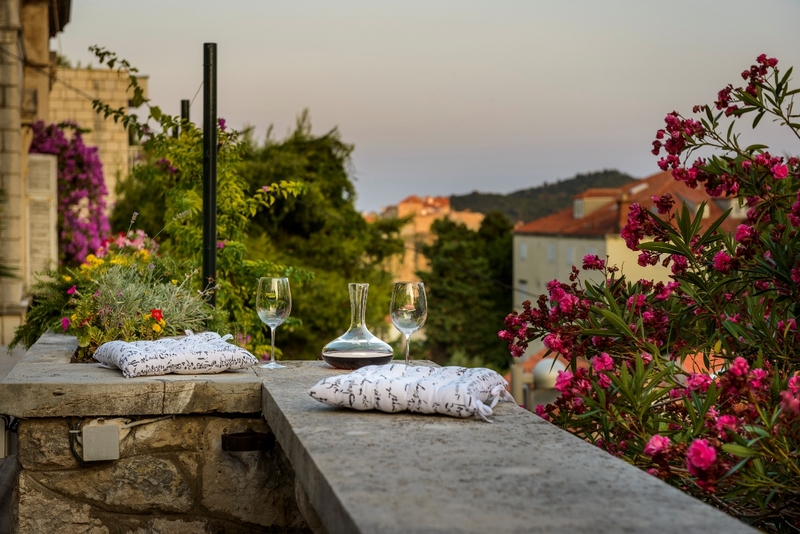 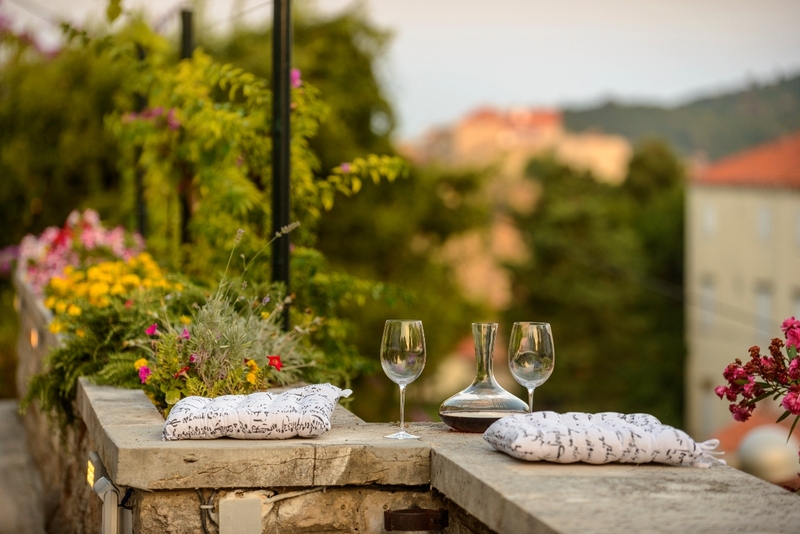 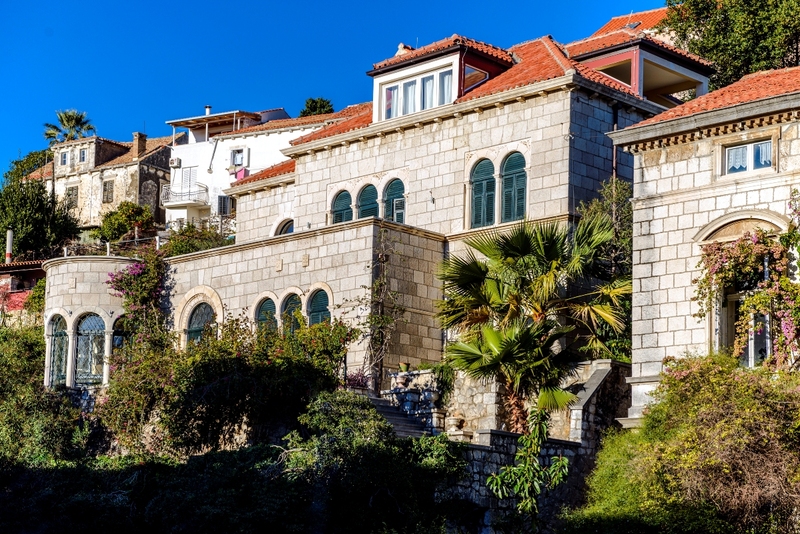 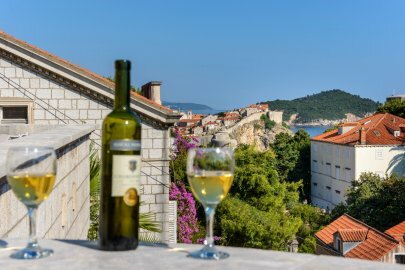 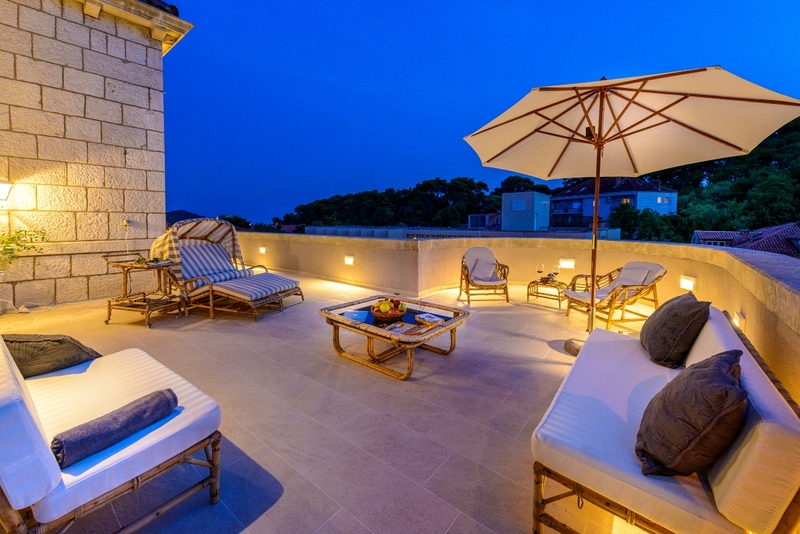 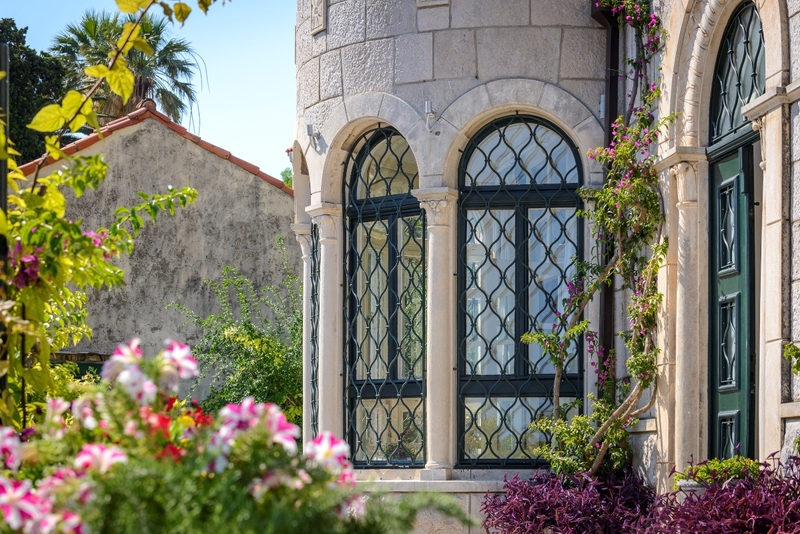 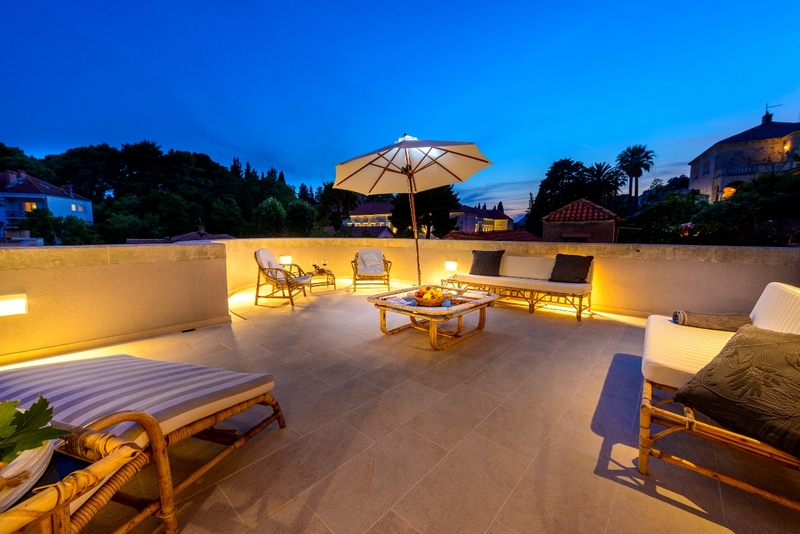 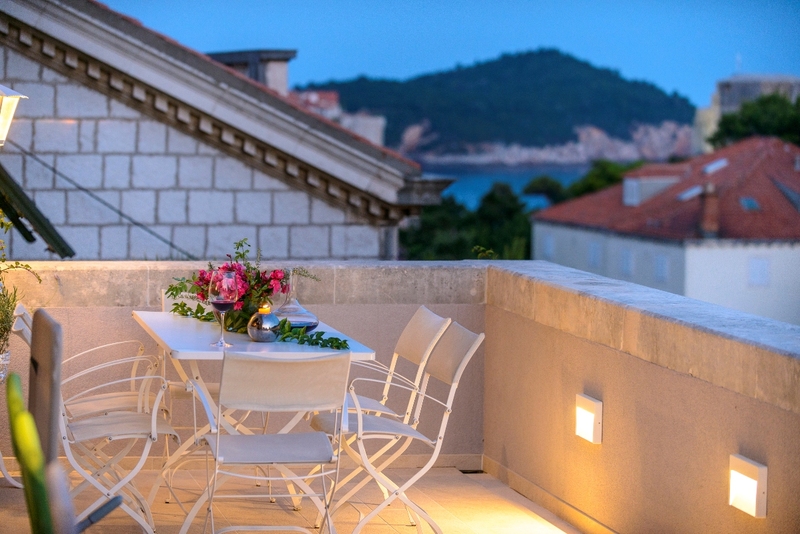 A stunning stone villa surrounded by Mediterranean vegetation is located few minutes away from the UNESCO protected Dubrovnik – a town of remarkable culture, lush history and Mediterranean spirit. 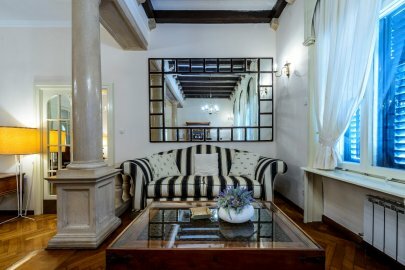 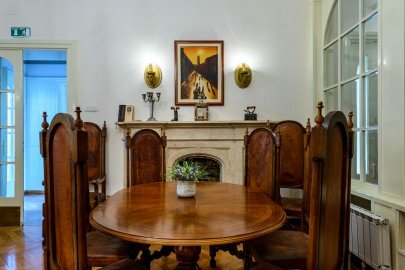 It provides its guests a sense of intimacy and ambiance like the upper class citizens of this city enjoyed 100 years ago. 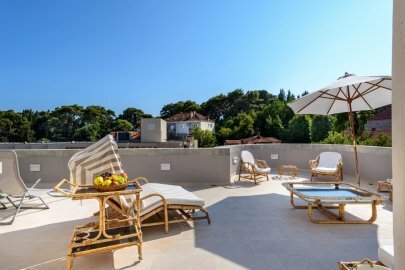 Villa Ragusa is spread over 400 m2 distributed on the ground floor with garden terraces and the first floor with a spacious sunny terrace and it can accommodate up to 12 guests. 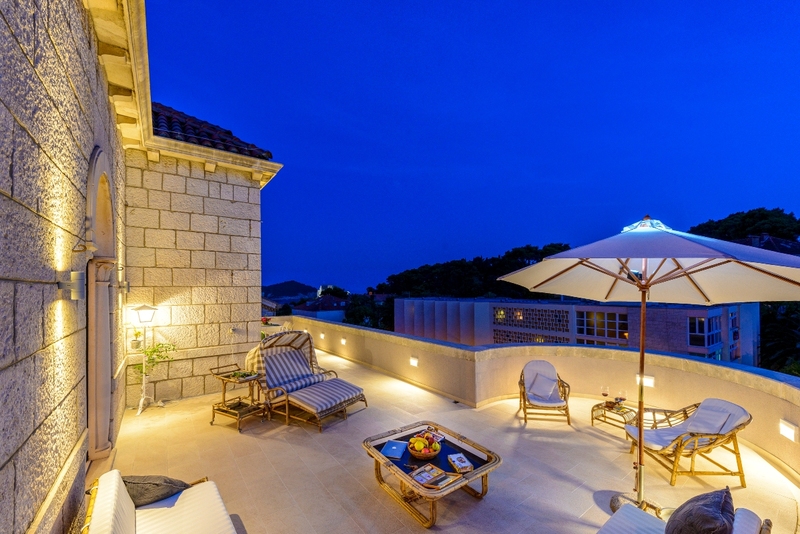 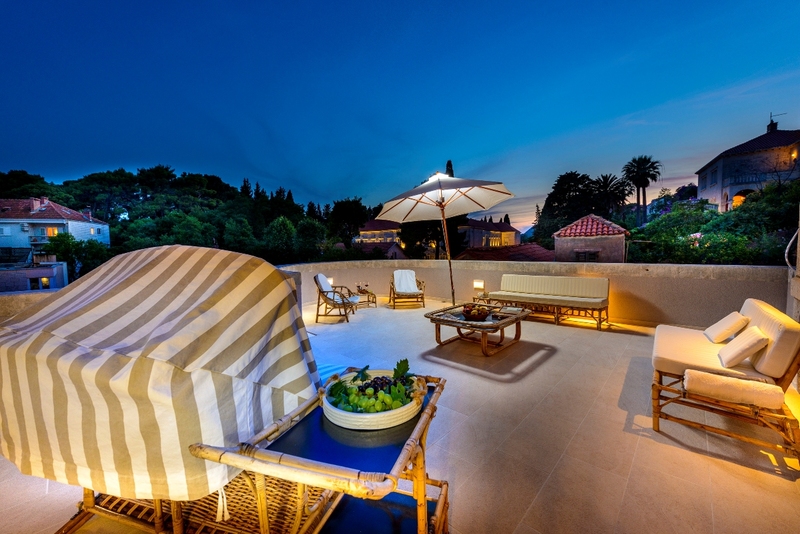 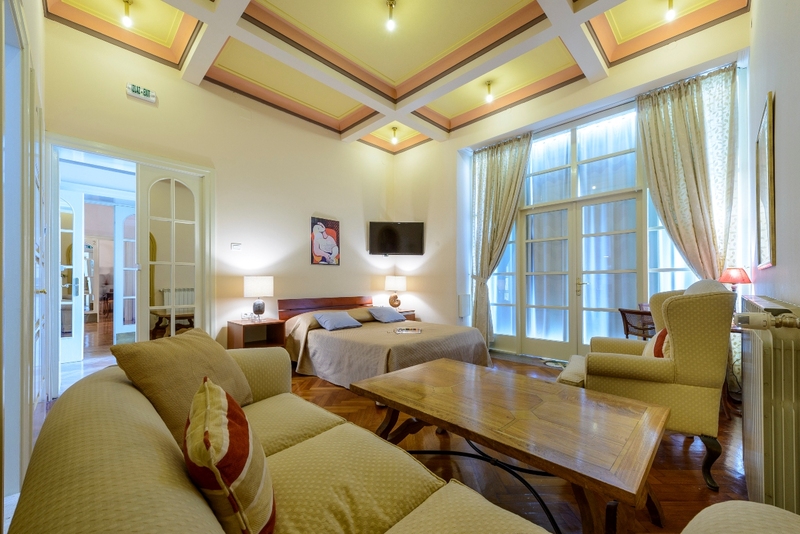 It has 5 spacious bedrooms with en-suite bathrooms and an access to the terraces. 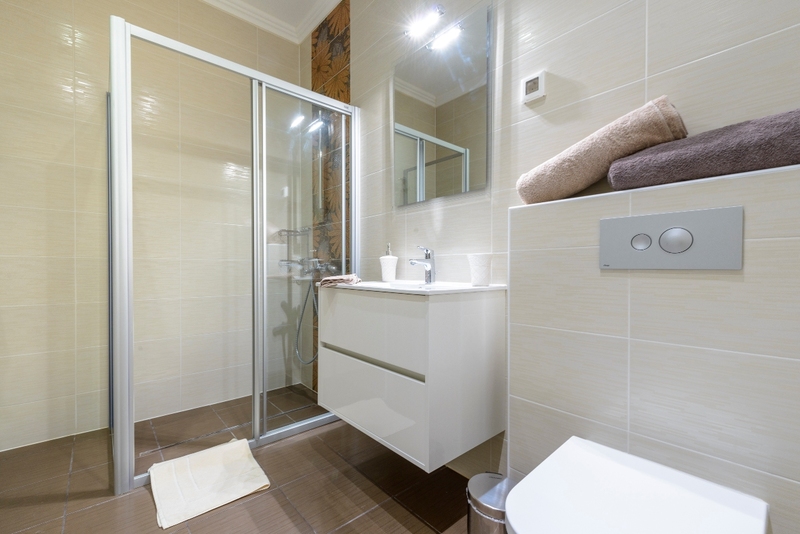 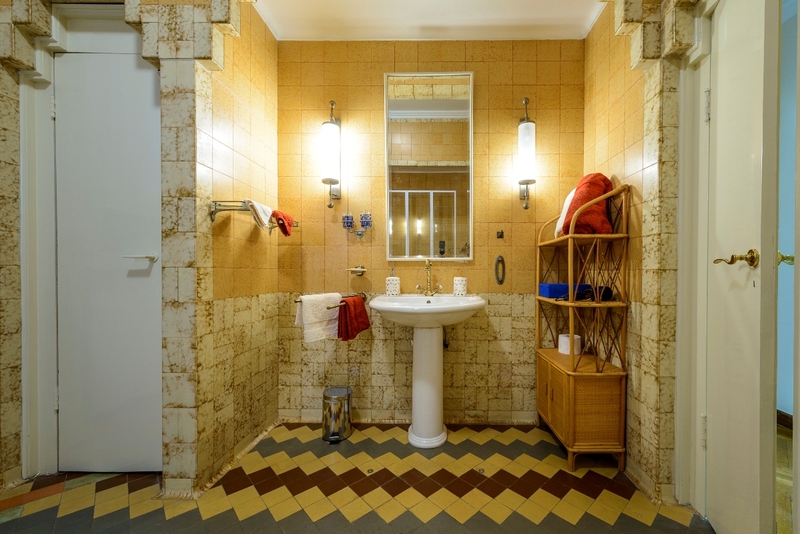 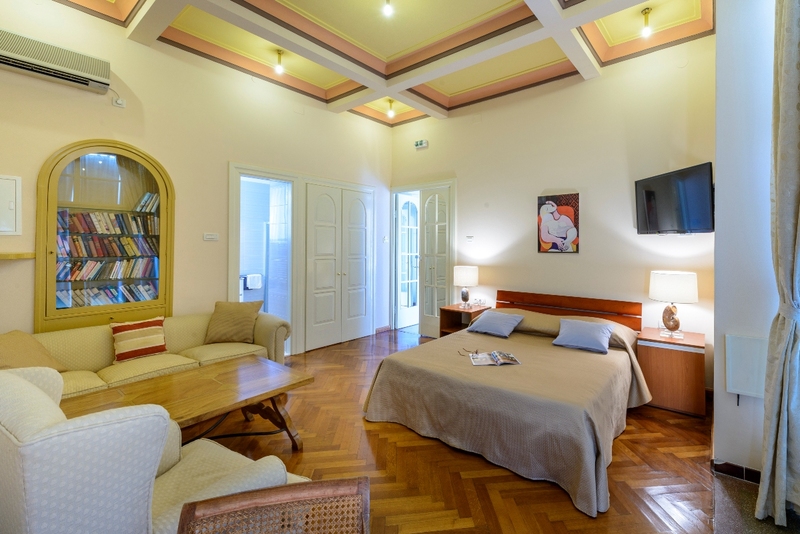 On the ground floor of the villa there are two bedrooms with its own bathroom, a large common salon with a toilet, and a fully equipped kitchen. 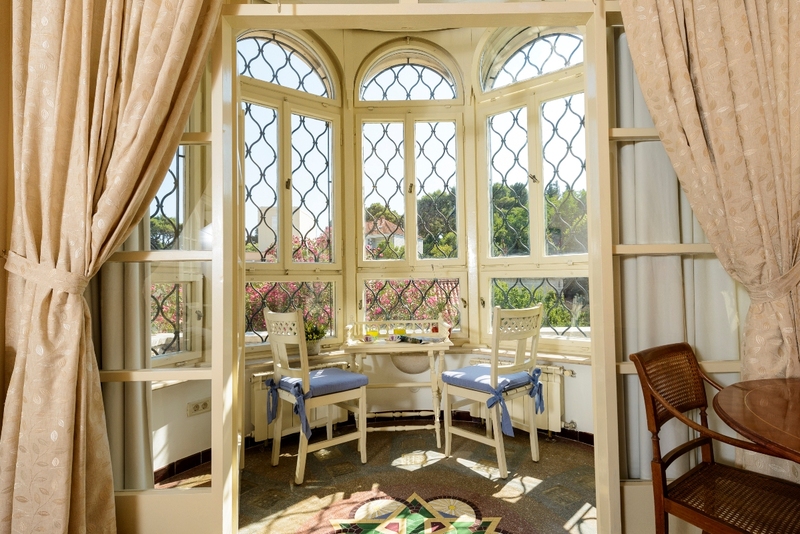 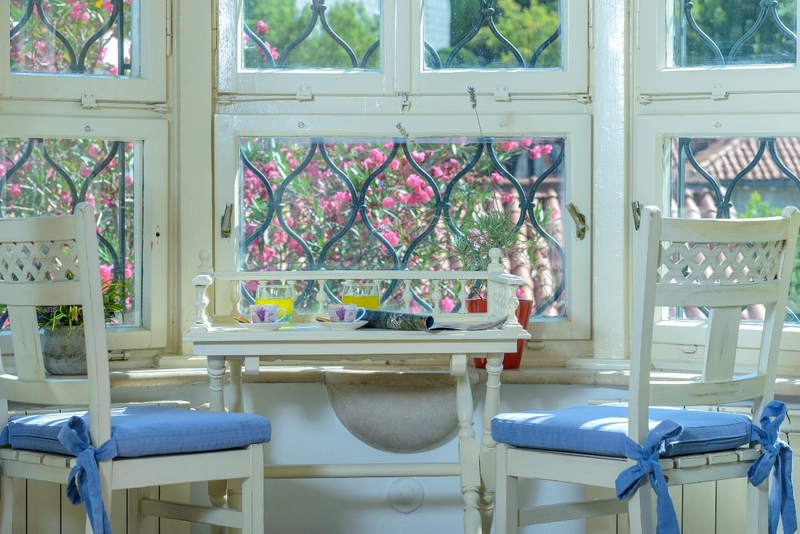 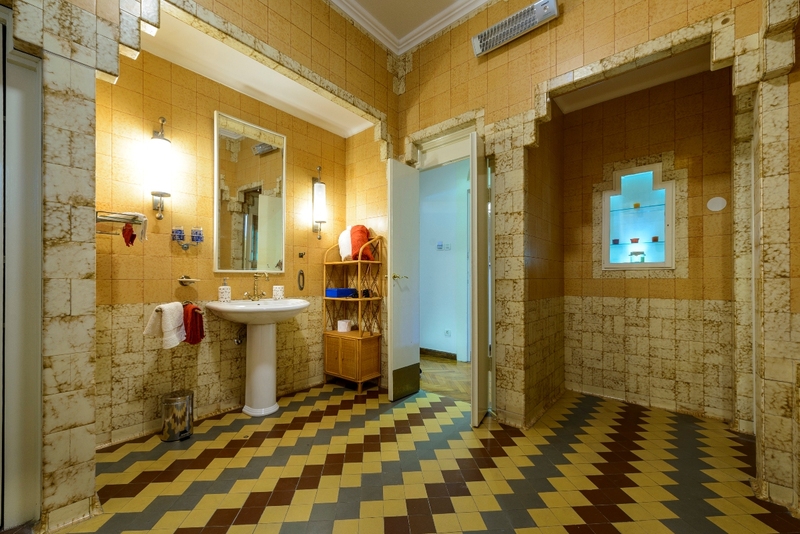 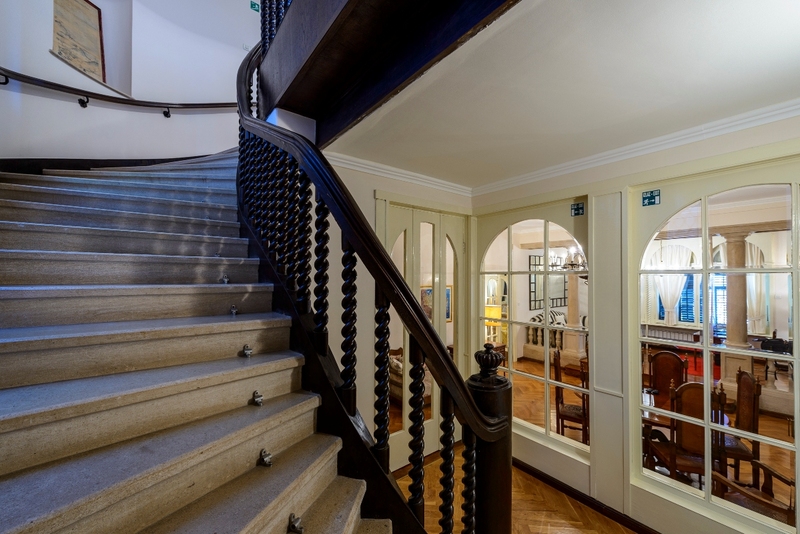 The interior is tastefully decorated with historical charm and artistic details. 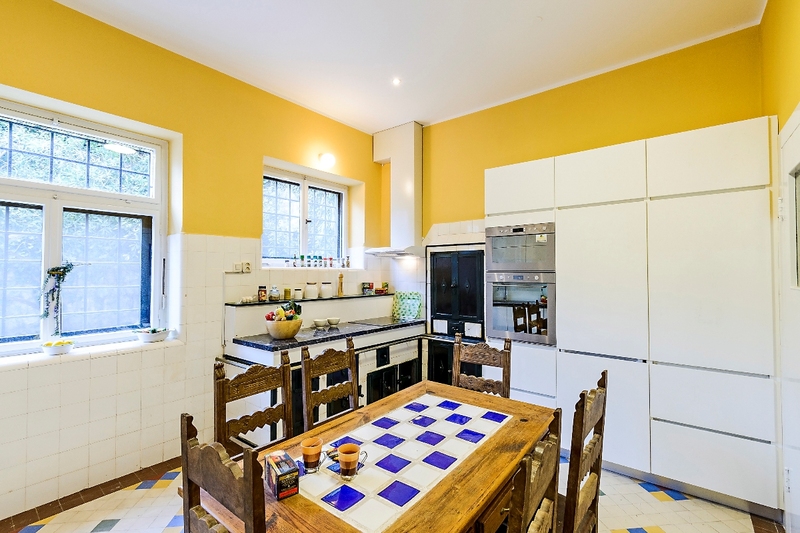 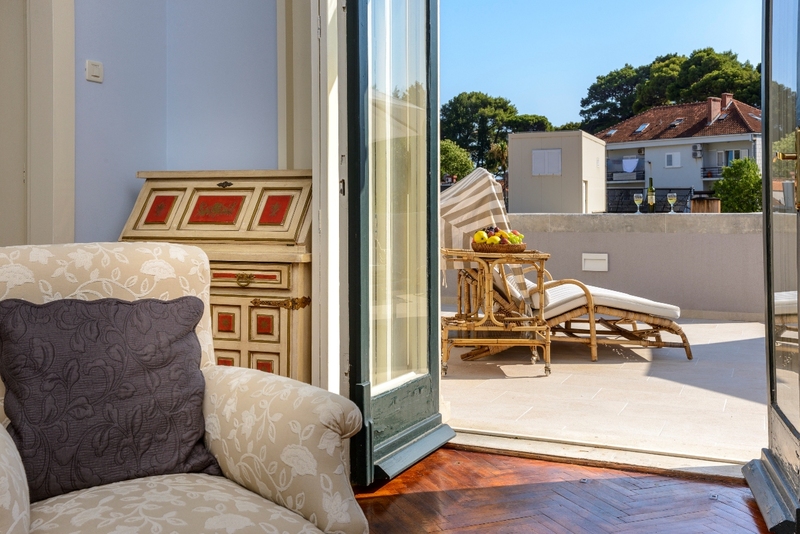 On the upper floor there are three bedrooms with own bathrooms, two of them having a large sunny terrace. 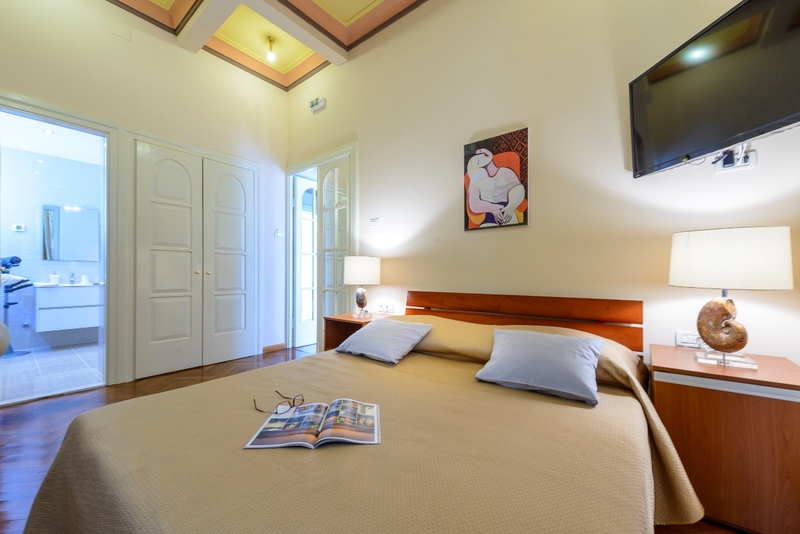 All bedrooms have double beds, SAT TV, minibar, safe box and Wi-Fi is available throughout the villa. The outside area is an ideal place for early breakfasts, sunset cocktails or just enjoying and relaxing in the Jacuzzi… It provides guests spectacular views of the Old Town, the fort of St. Lawrence and Lokrum Island. 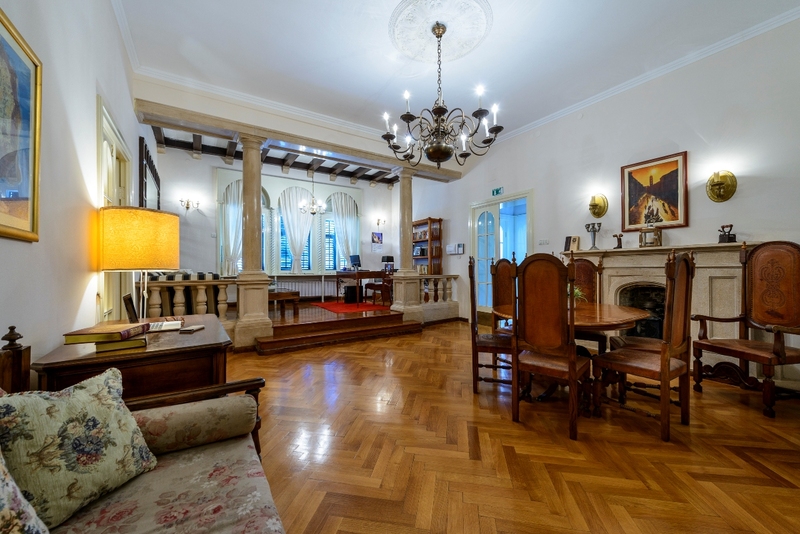 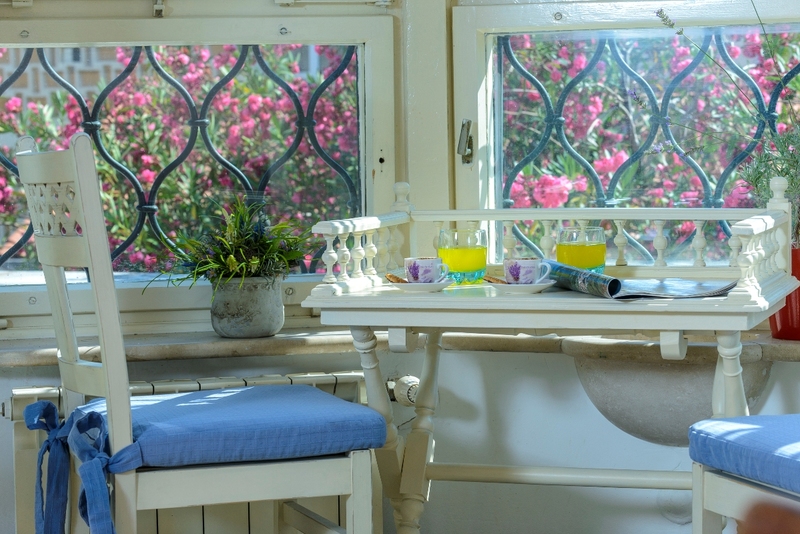 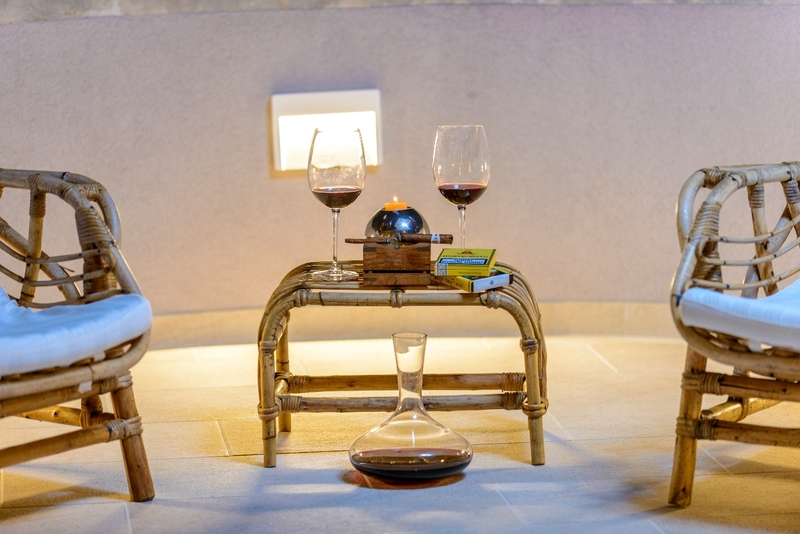 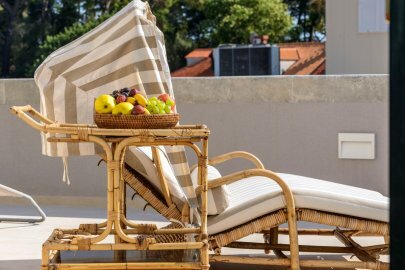 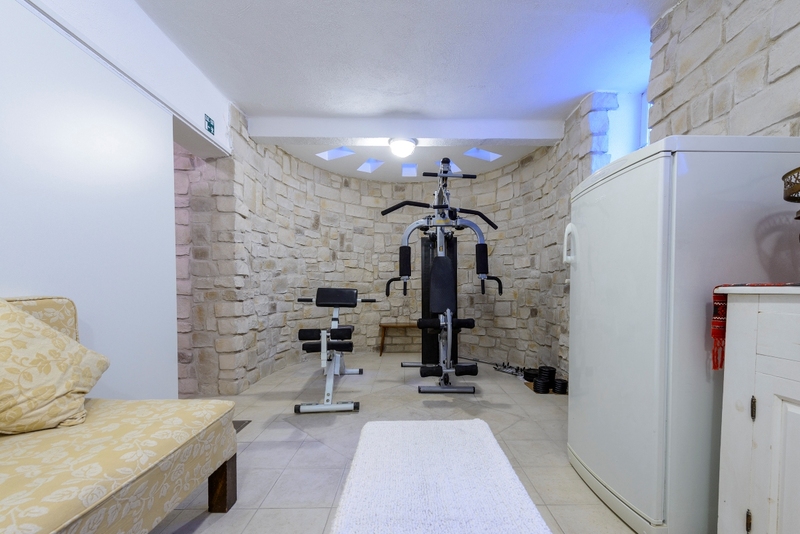 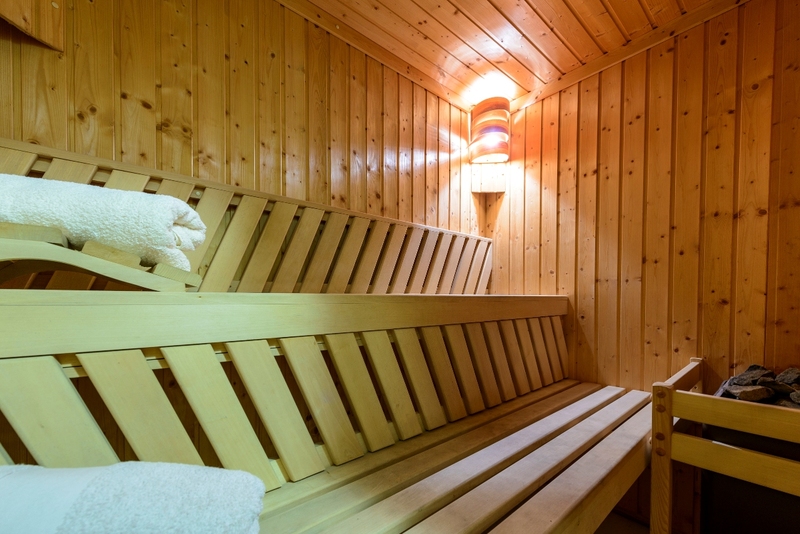 At the guest’s disposal there are also a gym and a library where guests can choose an interesting book or magazine and enjoy reading in the cosy salon, at the sunny beach or on the terraces. 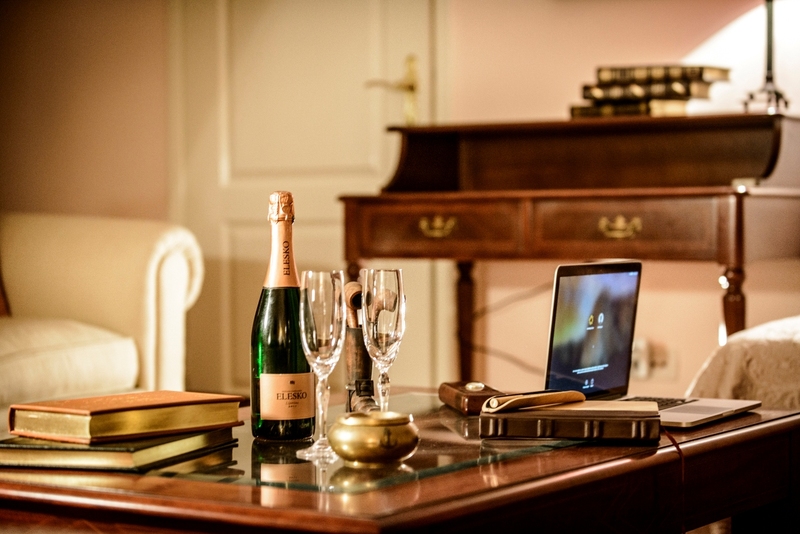 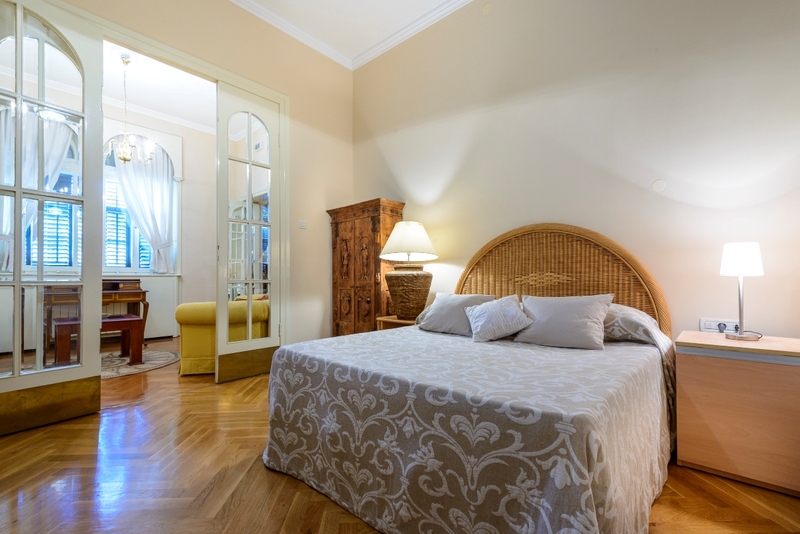 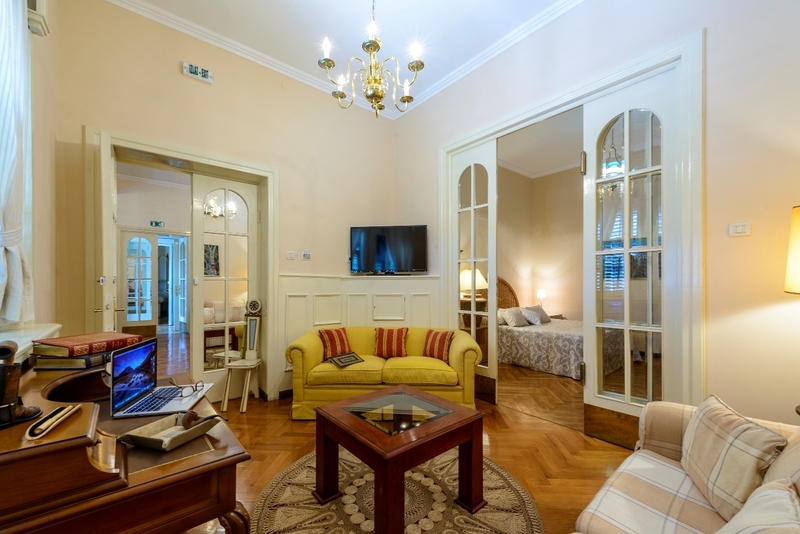 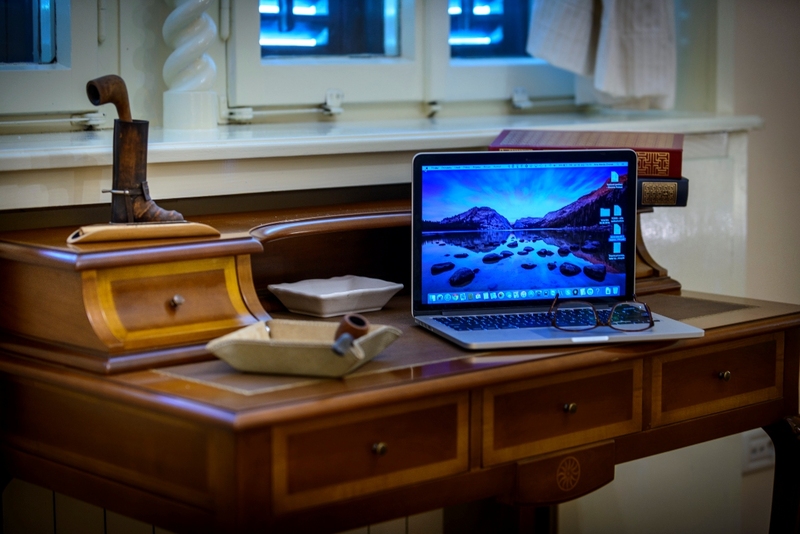 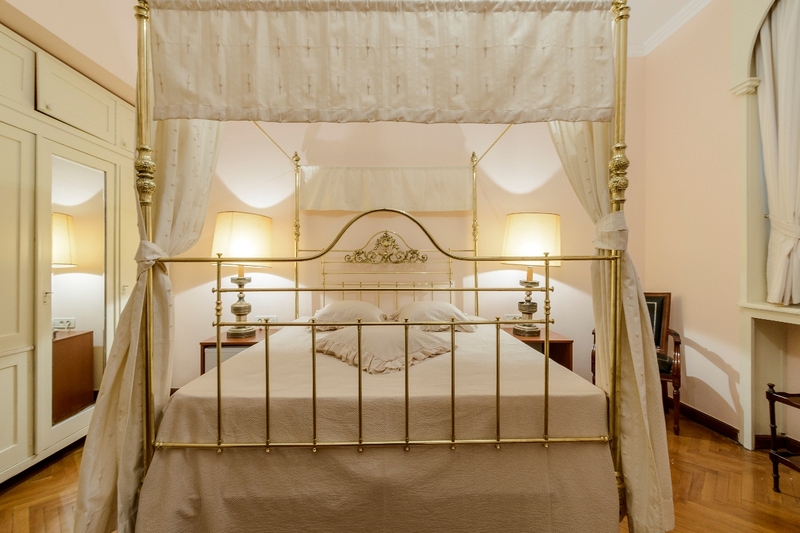 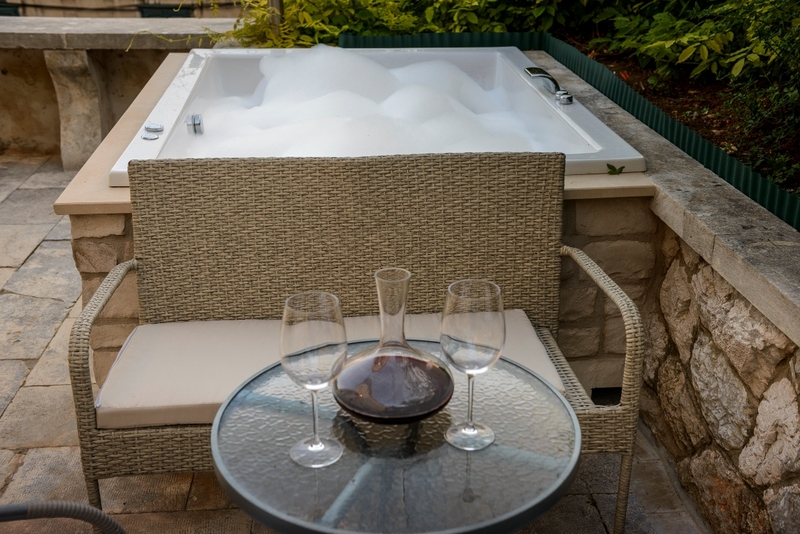 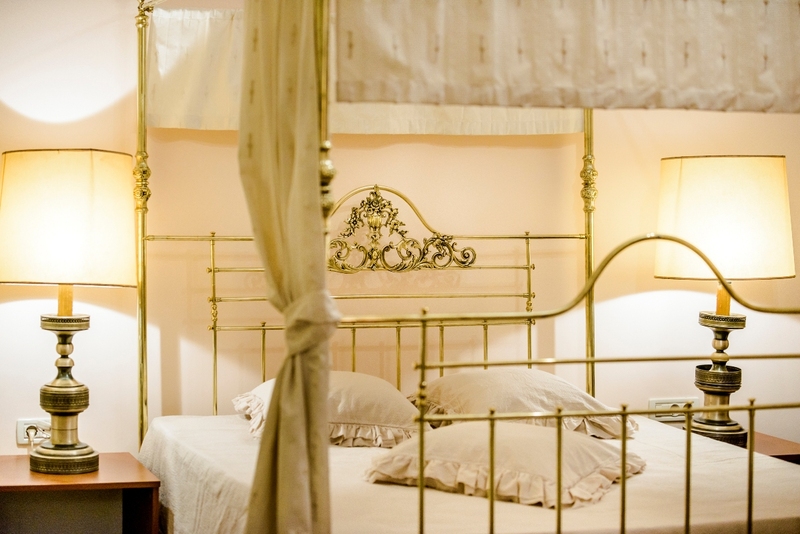 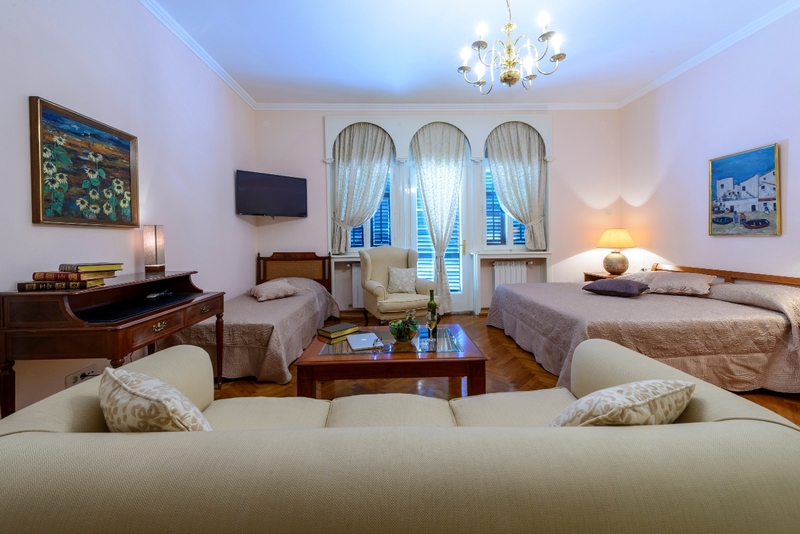 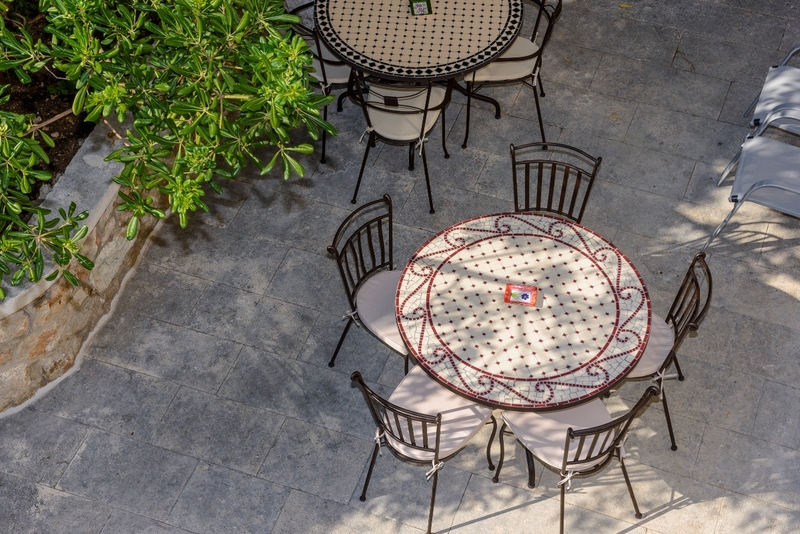 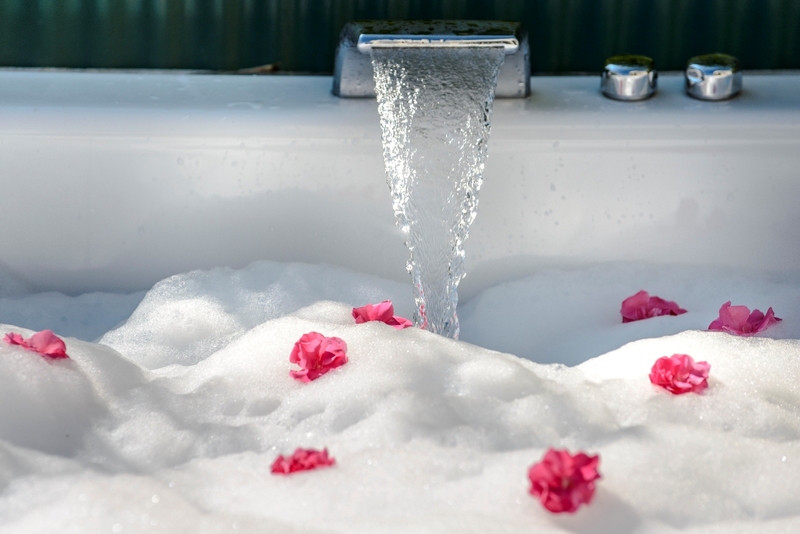 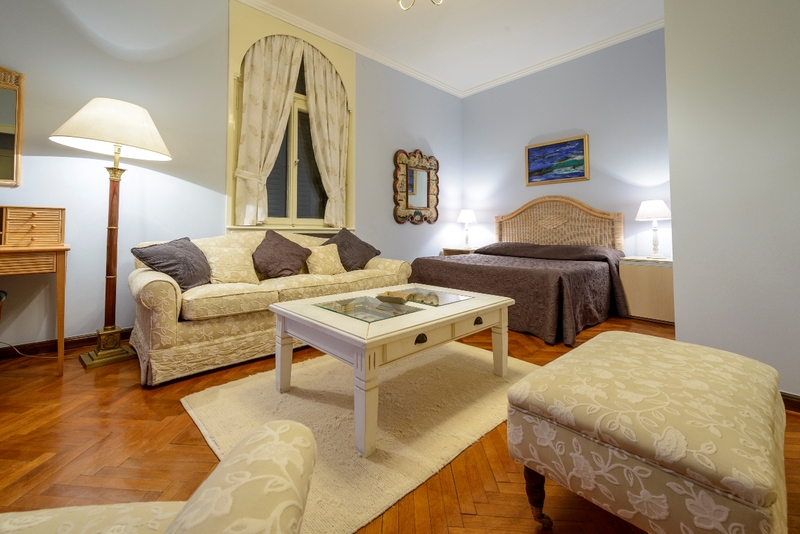 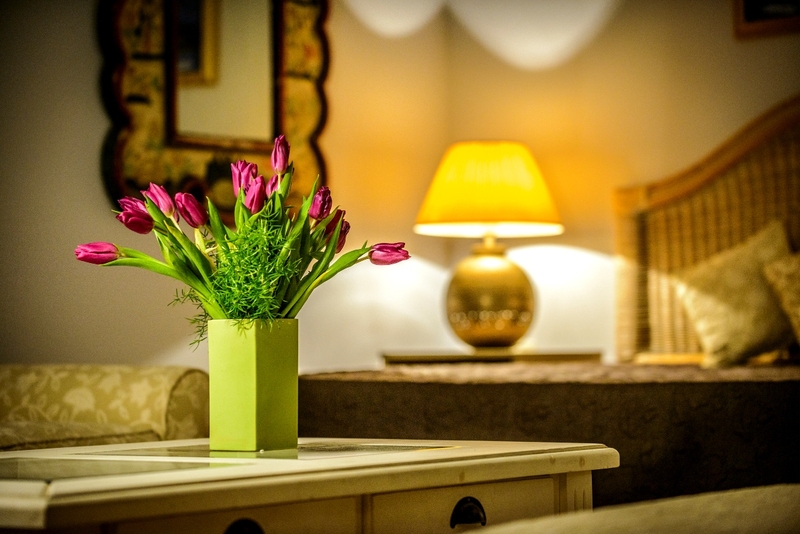 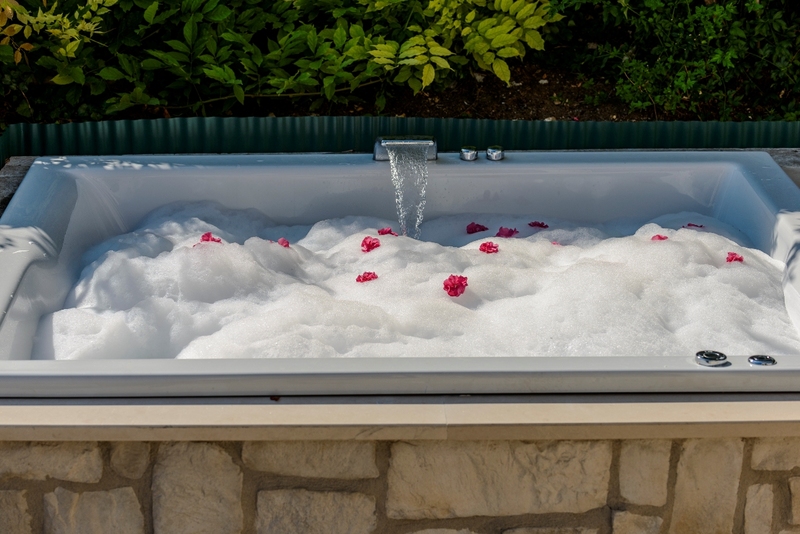 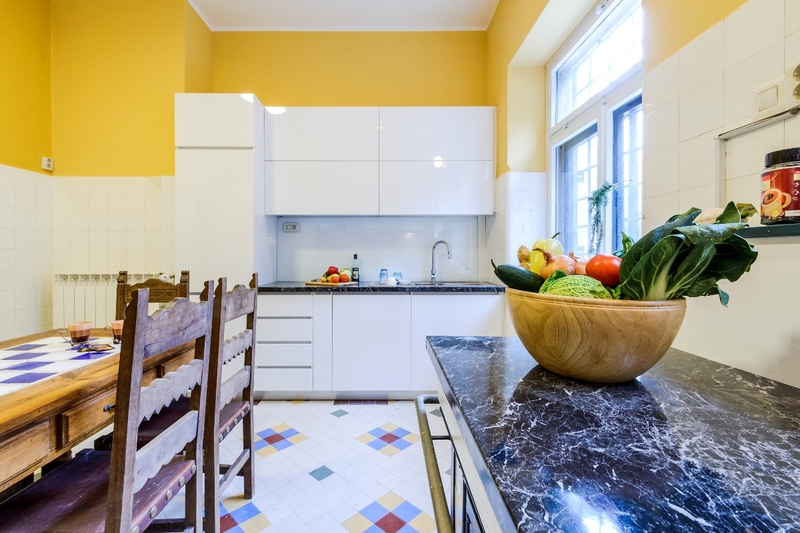 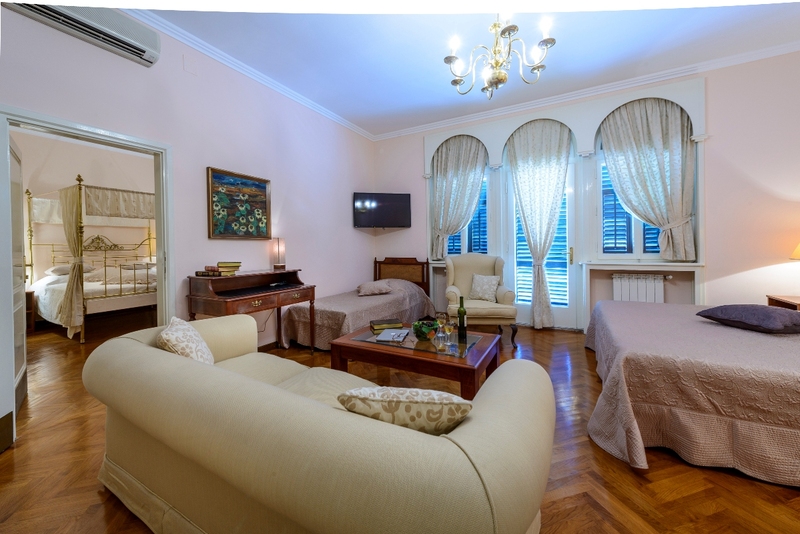 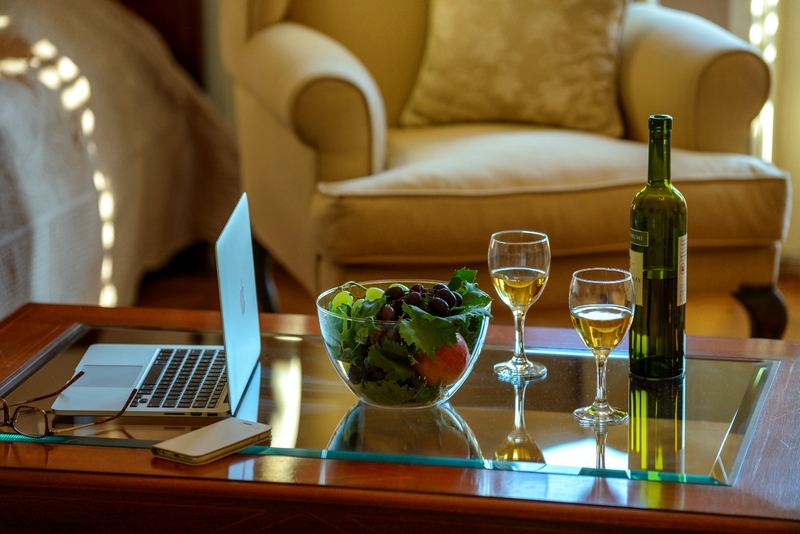 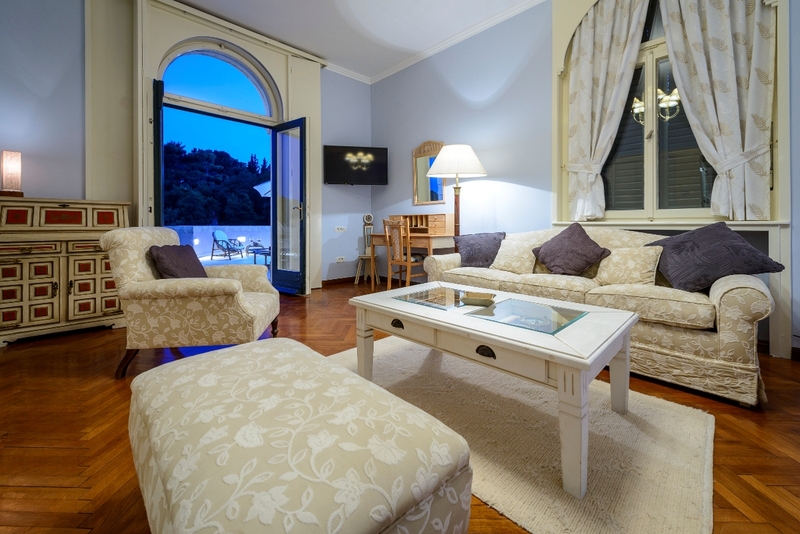 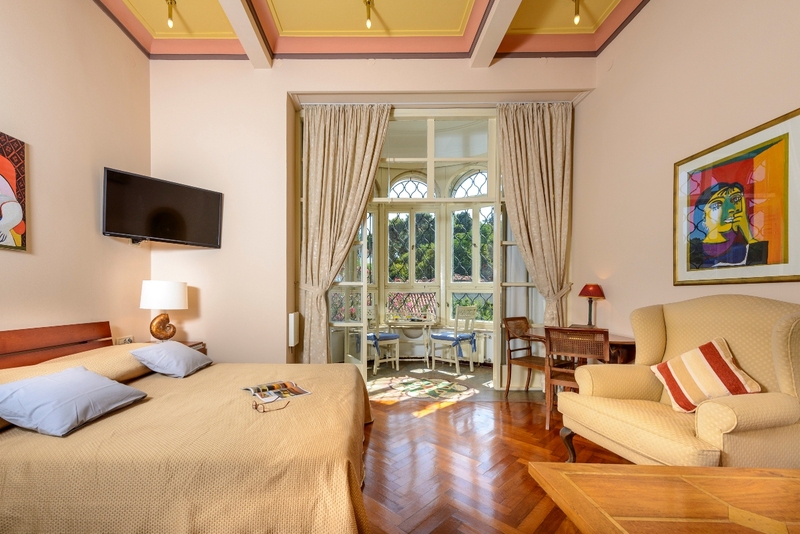 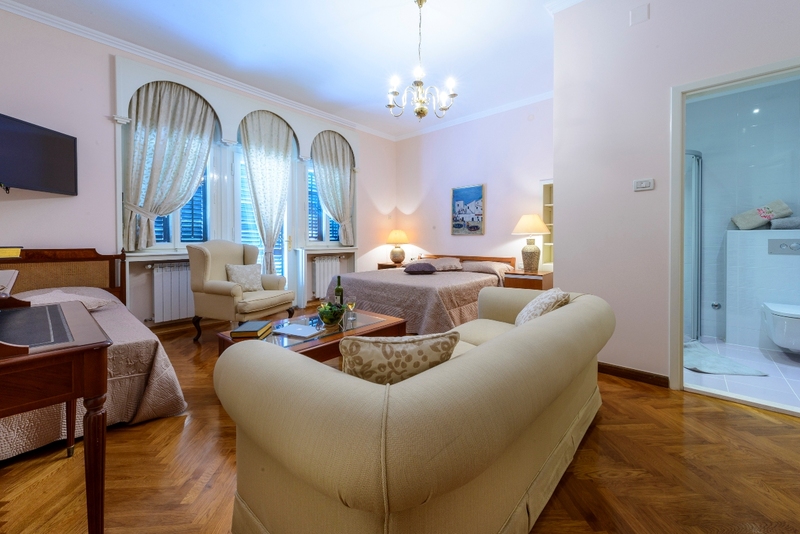 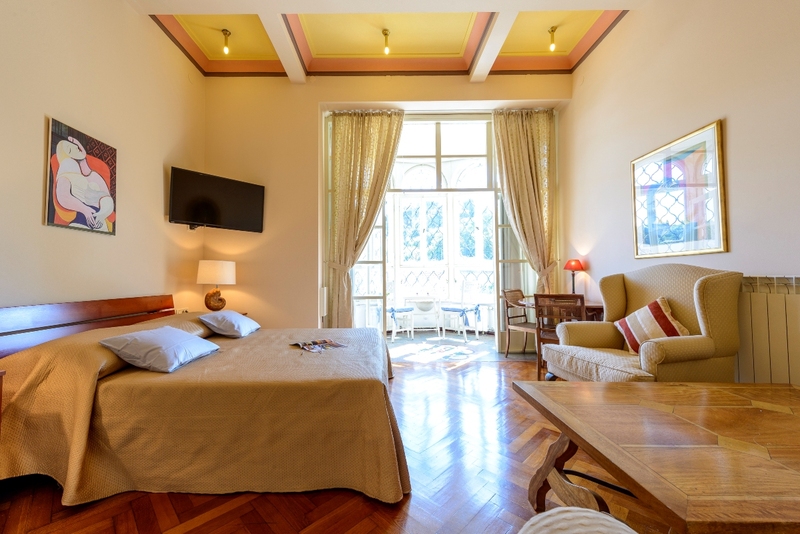 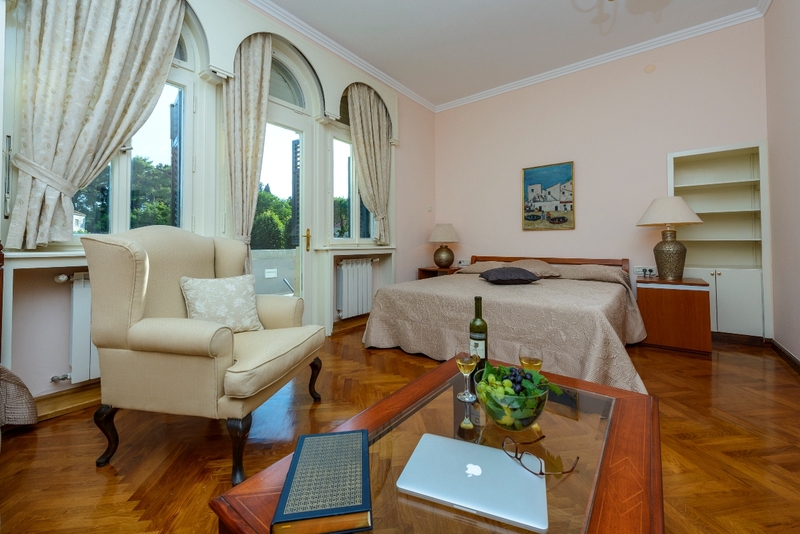 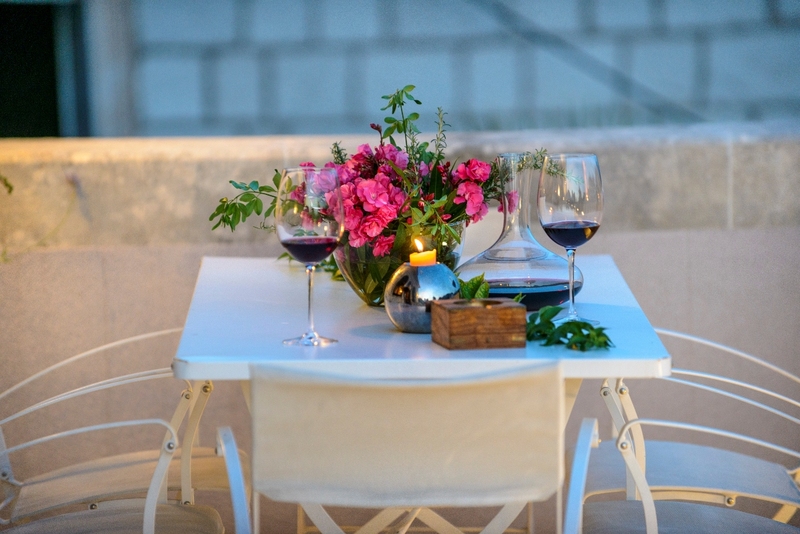 To make the stay in villa Ragusa perfect, the villa manager is at the guests’ disposal for everything they need. 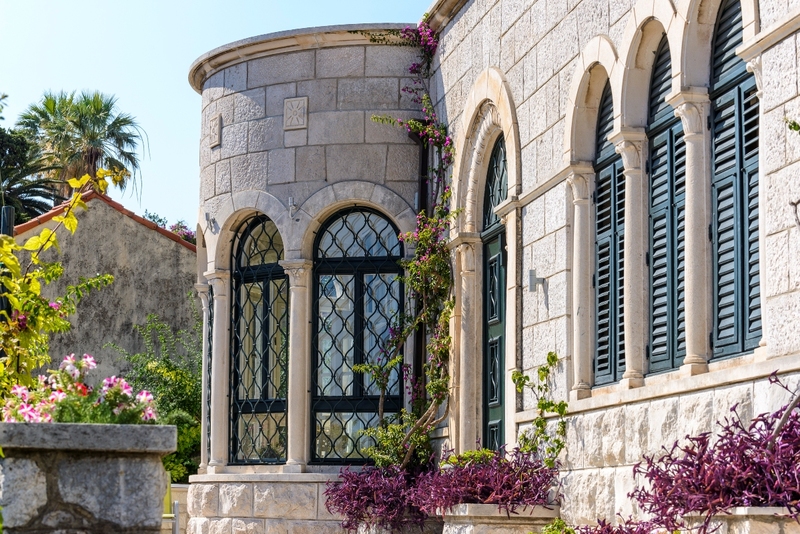 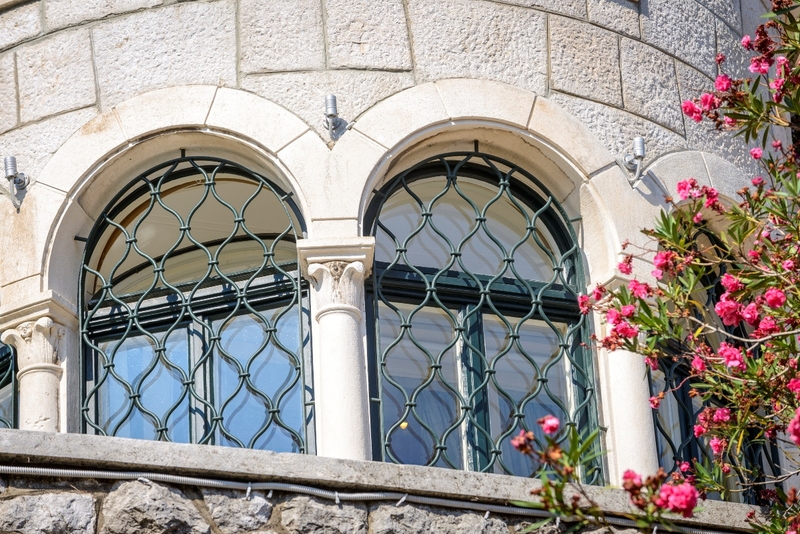 If you want to explore beautiful surroundings, rich culture and historical heritage of Dubrovnik county, villa Ragusa is the perfect choice for your vacation.